Pressed leaves are shaped like a cup. It is famous as Imperial tea since in the ancient years only the members of the royal family had the privilege to use it. Effect:To Pu Er tea / Pu Erh / is attributed the almost miraculous ability to melt fat. Pu er tea became particularly known for its quality after the publication of the diet of Victoria Beckham, whose main active part of losing weight is the Tibetan Pu er tea. The healing properties of Pu Er tea are really amazing and it is used for medicinal purposes in China more than 1700years. Compressed Pu Er has been stored even for 100 years and only after this it was considered fermented. The general belief is that, like with the wine, the quality of Pu Er tea is increasing with time. Pu Er tea is used against aging, in prevention of cardiovascular diseases, cancer, diabetes, digestive aids, for improvement of circulation, function of the spleen, in inflammations. It is proved to counteracts the unpleasant effects after consumption of alcohol, increases metabolism, since its components are associated with macronutrients and food enzymes and reduced nutrient absorption. More recent studies show a strong effect of cholesterol-lowering, ability to purify blood and powerful effect in slimming and weight loss. Prolonged use of Pu Er tea reduces blood triglycerides, high blood pressure and LDL cholesterol levels and plays an important role in preventing cancer and cardiovascular diseases. 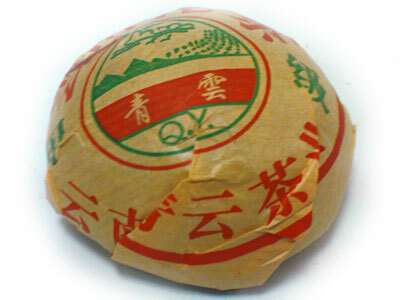 Chemicals in Pu Er inhibit the synthesis of cholesterol. It consists of antimutagenic and antimicrobial properties. Directions:You can see in the video how the tea is being broken and sorted in large and high-quality leaves and in more tiny, also of superior quality. Brew Pu er tea / 1 tbsp / with 500 ml of water for 7 min. Drink three times a day, 15 minutes before meals.